How a task manager app handles details determines its real usefulness. Task Coach goes out of its way to help you keep track of the details. Version 1.4.4, released on Dec. 2, 2018, is simply the latest example of this app’s ability to keep you on target and in control of your projects. For example, you get about nine tabs with multiple choices on each to set up the application’s general look and feel. These tabs include Window behavior, Files, Language, Task Dates, Task Reminders, Task Appearance, Features and Font Editor options. 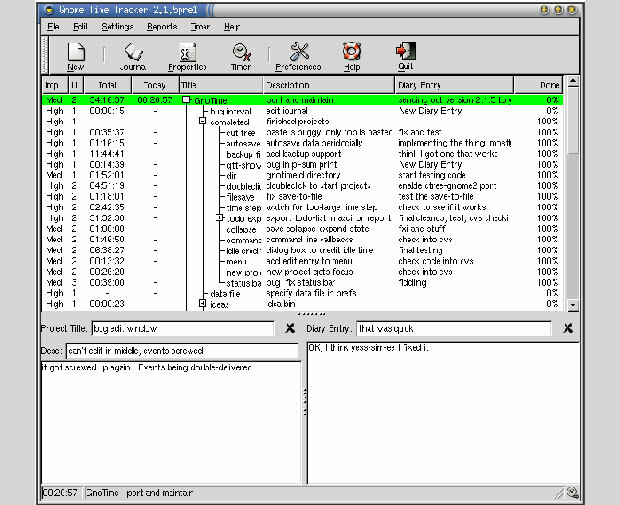 The window display shows existing tasks on the left side of the application window. 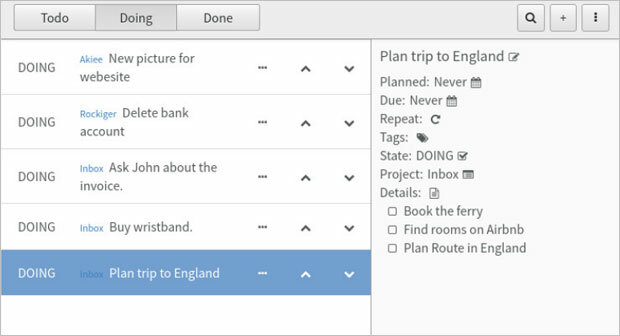 Next to the task name are the planned start and due dates for each task. Right-click the task name line to access available actions. Click the desired action or use that option’s keyboard shortcut. You can double-click the task name line to access subcategories for entering additional sub-levels of information about the task. These categories contain the most important detail controls for getting Task Coach to manage and organize your tasks’ activities. Use Task Coach’s progress slider to track your ongoing completion stages. Double-click on a category to provide a detailed description, add notes about each task, and attach supporting documents to the file package. It is a simple app that in many ways mimics the look and feel of Google’s Notes app, but it is not embedded into the Chrome browser. gToDo creates multiple lists, sets alarm notifications when tasks are due, automatically purges completed tasks if you desire, exports tasks to HTML format, and sorts them according to priority. This app’s real beauty lies in its simple interface. It has little more than a single pane that shows tasks and related information. If you prefer to keep separate lists for different activities, you can — and it is just as easy to set alarms and priority notifications, regardless of how you configure one or more lists. The game plan that drives most ToDo lists and task manager apps is a two-part thought process. Either you have a task to do or you are done with it. Akiee adds a third part to that plan: doing It. One of Akiee’s best features is its universal access. Akiee does not hide your to-do list in a database. You can store your Akiee task file in your cloud account — think Google or Dropbox — to access it over the Web. Akiee’s tasks have three states: To-do, Doing and Done. This way you can focus on the tasks you are currently working on. download from here, Unpack the binaries files, and then click on the Akiee file to run it. Remember the Milk used to be one of my favorite to-do apps — but until recently, it was not an app, at least not for Linux users. It was a nifty smartphone and tablet tool. I had to piggyback the RTM service in my browser when I ran my Linux-powered desktop or laptop computers. RTM’s project management feature lets you set subtasks to break down tasks into segments to give you a step-by-step description of what the task entails. 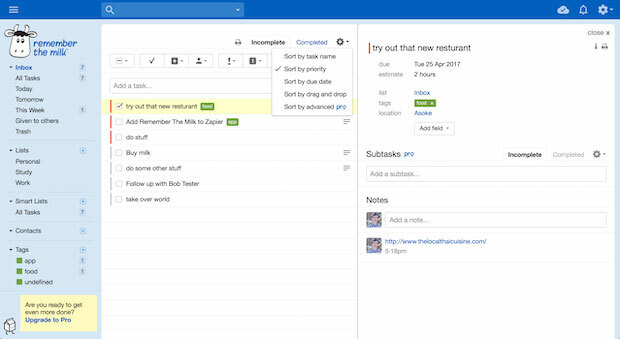 Create any number of subtasks for a task, and even add subtasks to your subtasks. RTM’s search wizard lets you search your tasks easily to find what you assigned to a particular person, or subtasks due by a certain date. You can search for tasks by the priority number or tag you assigned. GnoTime Tracking Tool, formerly known as “GTT,” comes close to doing it all: keep to-do lists on target, organize your ideas, and track your projects. GnoTime’s user interface is a familiar sight with clickable icons for the app’s features. The Gnome Time Tracker is a very flexible and comprehensive tracking toolbox that auto-saves as I work. Despite GnoTime’s propensity for desktop clutter, its interface is simple to use. Toodledo. This highly customizable service lives in the clouds and syncs to all of your devices. It is platform-agnostic and connects from your browser to apps on your other supported devices. Toodledo’s expansive user interface shows a highlighted view of all data for each module. Each component is a click away in the left panel. 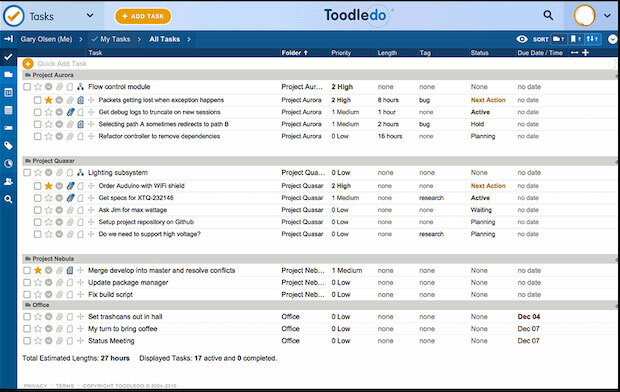 Toodledo combines to-do lists with project management features with an added ability to tack on notes and attach files. Among this solution’s many talents is the ability to make custom to-do lists, create structured outlines, track your habits, write long notes, and comment on goals and projects.